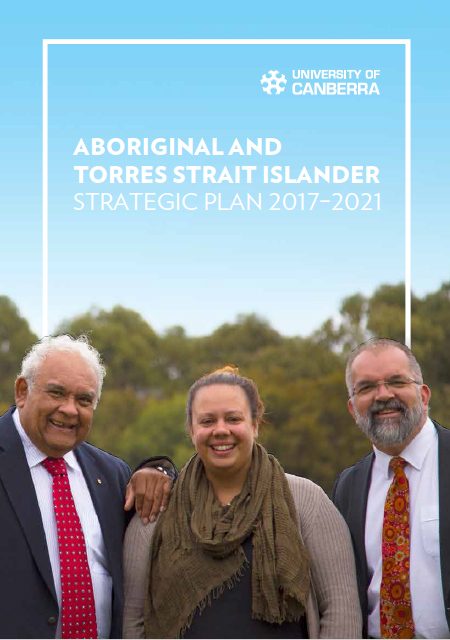 The Aboriginal and Torres Strait Islander Strategy 2017 – 2021 provides a framework for a university-wide approach to closing the gap between Aboriginal and Torres Strait Islander peoples and other Australians. Through this strategy, the University of Canberra commits to contributing, through education and research, to the building of just, prosperous and sustainable communities which are respectful of their Indigenous past and committed to redressing disadvantage. This multi-year strategy complements other existing high-level plans already in place, realises the University’s Statement of Commitment to Reconciliation and aligns with other strategic initiatives for Aboriginal and Torres Strait Islander peoples at the University.